Your job is conveniently located. The pay is generous. The benefits package is all you could ask for. You are doing the exact work you are most passionate about. Everything is perfect, but you’re miserable. 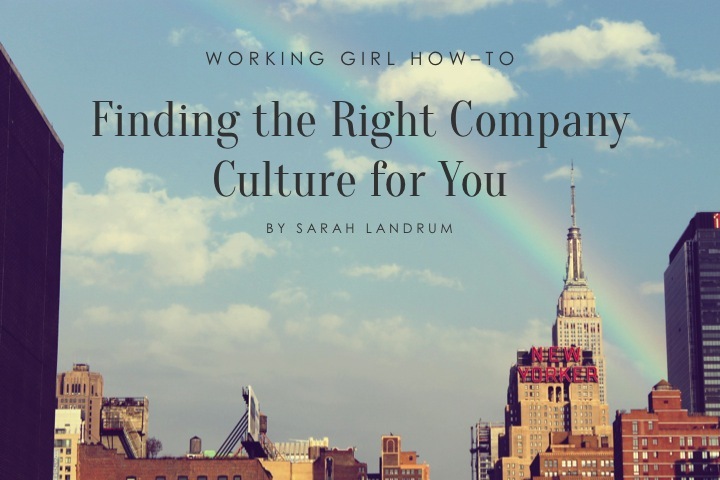 So how do you find the right culture for you? First: Get to Know Yourself Do you prefer to manage your own schedule? Do you work best in a group or solo? Are you motivated by perks and bonuses, or by a personal belief in the work you are doing? Are you looking for an addition to your social life or is it important for you to spend as much time as possible with your family? You have to know what you want in order to figure out what you’re looking for, so take a good look inside before you cozy up with your favorite search engine. Second: Do Your Homework Once you know what you want, it’s time to do your research. Many companies provide insight into their culture on their website, so take the time to read about who they are and what they value. Smaller companies do the same thing. You’ll probably find that most Marketing and PR firms proudly share their values, even more than most other industries. (Hey, we’ve got great creative minds and love to show it off!) WebpageFX, an Internet Marketing firm from my hometown is well-known for their culture and values. Their website proudly touts an Inside WebpageFX page with their values, culture, team, and other company activities. They’ve made a mark for themselves because they not only boast their values, but they live up to them by helping in the community. Even if the companies you’re interested in don’t have a reputation in the community, or a well-designed webpage to show off their values, you can still get a feel for what the culture is like by looking at their social media and talking to employees. Third: Look on Social Media Whether a company provides Google-level insights or a simple About Us page, it’s always helpful to turn to social media. For example, not only is Facebook on LinkedIn, over 8,000 Facebook employees are as well. Even if you only looked at the profiles of 25 employees, you would still get a feel for the type of people you will be working with. Instagram allows companies like iCracked to provide job seekers with worth-a-thousand-words photographic insight into their culture. Many companies with great culture like to show it off, so be sure to follow them on Twitter and Facebook to see what they’re posting. You can get a feel for the culture very quickly just by looking at what they’re sharing. If it’s a constant barrage of dry corporate advertisements, the culture is likely to be just as stiff. If they’re posting pictures of company events and fun looks inside the office, however, you can probably expect a pleasant work atmosphere. Fourth: Talk to Employees Finally, after all that research and introspection, talk to employees and employers alike. Reach out to employees and ask about the culture and make sure to bring it up in your interview. Try asking these questions to uncover corporate culture at the end of your interview, or even ask to shadow for an hour or two! Finding the right culture isn’t an impossible quest. A little research and self awareness are all you need to find a job that will provide the total package. Does your company have a great culture? We want to hear about it! Share your thoughts in the comments below or tweet us at @HeyWorkingGirl.